British PM Theresa May appointed Jeremy Hunt as foreign minister after Boris Johnson resigned in protest at the government's plans for a close trading relationship with the EU. 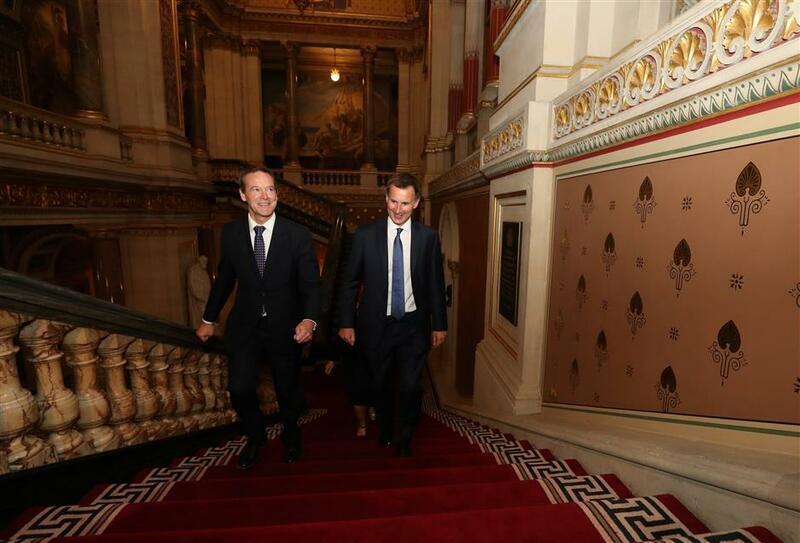 Britain's new Secretary of State for Foreign and Commonwealth Affairs Jeremy Hunt, accompanied by senior civil servant Simon McDonald, arrives at the Foreign Office in central London, Britain, on July 9, 2018. British Prime Minister Theresa May appointed Jeremy Hunt as foreign minister on Monday after predecessor Boris Johnson resigned in protest at the government's plans for a close trading relationship with the European Union. The appointment of Hunt, the long-serving health minister, sees a close May ally replace the maverick Johnson, and could alter the Brexit balance of May's top ministerial team. While Johnson was one of the most high-profile Brexit campaigners, Hunt backed "Remain" during the 2016 referendum campaign. Hunt told LBC Radio in October 2017, however, that he had changed his mind on the issue, in part because of what he said was disappointing "arrogance" in the EU's behaviour during negotiations. Last month, Hunt said it was inappropriate for businesses like Airbus to issue warnings about moving jobs because of Brexit and that they should instead be getting behind May in her push for a good deal on leaving the EU. "Huge honour to be appointed Foreign Secretary at this critical moment in our country’s history," he said in a tweet after his appointment. "Time to back our PM to get a great Brexit deal - it's now or never..."
Hunt said it was a "massive wrench" for him to leave the department, adding: "I know some staff haven’t found me the easiest Health Sec". Matt Hancock replaced Hunt as health secretary, while Attorney General Jeremy Wright was appointed as minister of digital culture, media and sport, Hancock's old job. May's office said Geoffrey Cox would be the new attorney general.